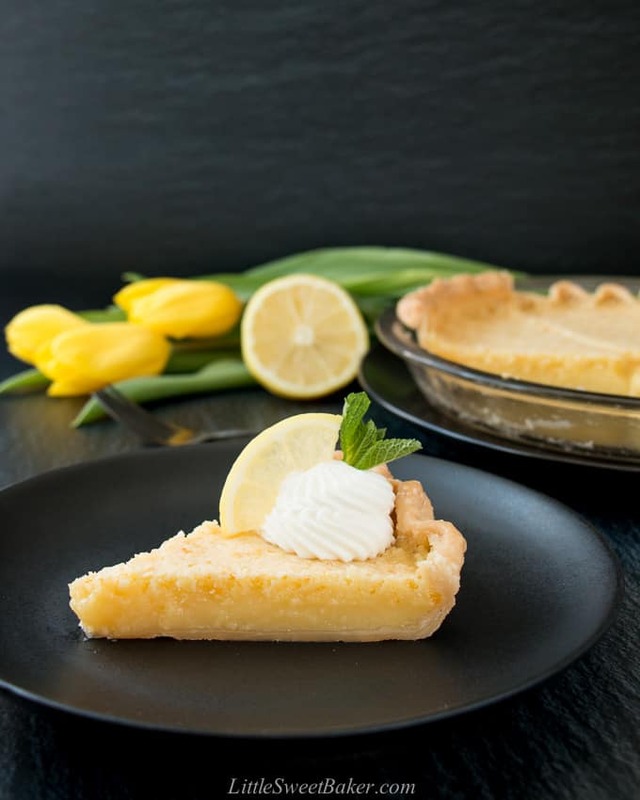 This creamy and refreshing lemon pie uses the whole entire lemon (not just the juice and zest) which gives it an ultra-lemony flavor. It has the perfect balance of sweet and tart, and only takes 10 minutes to prepare! It is as easy as can be to prepare. 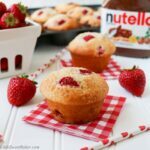 The filling is only 5 ingredients. You basically throw all the ingredients into a blender, pour, and bake. You use the whole entire lemon which give it an amazing lemony flavor. 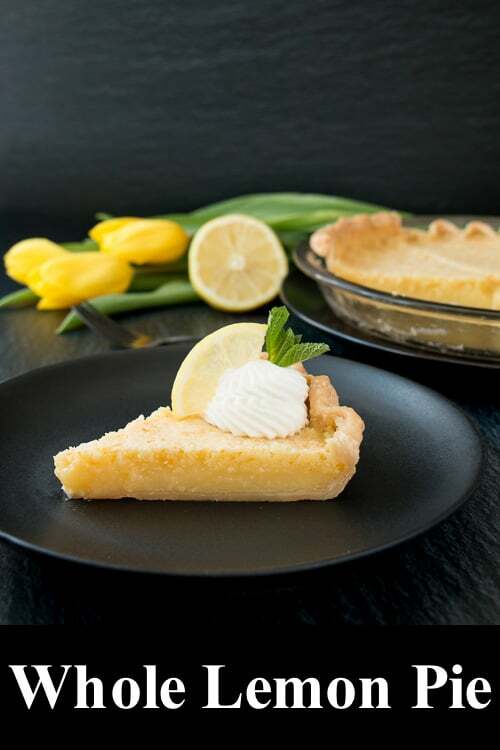 The butter in the filling adds richness to balance the acidity of the lemon. 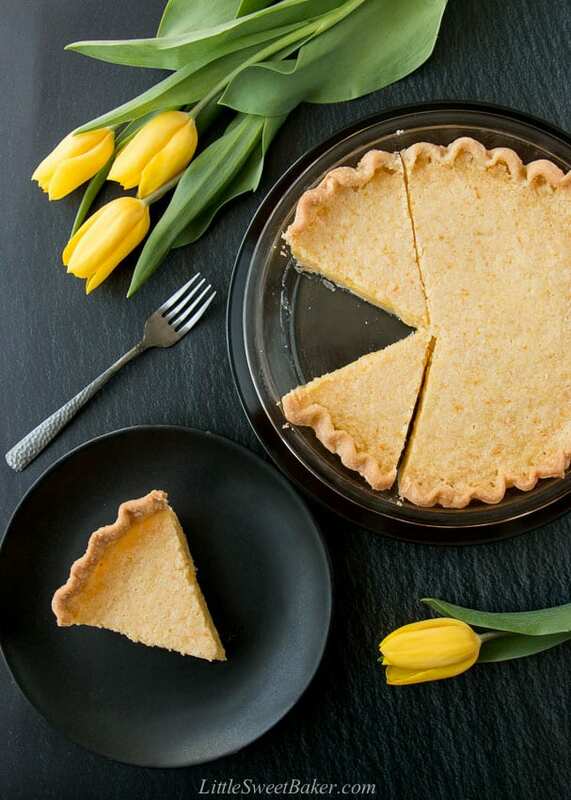 The eggs act as a thickener and gives this pie a custard-like taste and texture. There is no messy zesting or squeezing of the lemon, no pre-baking required, and no waste. You start by putting all of your filling ingredients into a blender and blend until smooth. Then you line your pie plate with your pie crust. Pour the filling into your pie crust and bake at 350F for 35-40 minutes. Also, look for lemons that are clean and blemish-free on the outside. If you can only find lemons that look like they’ve been on steroids, you can use Meyer lemons instead. This recipe does not work with limes. 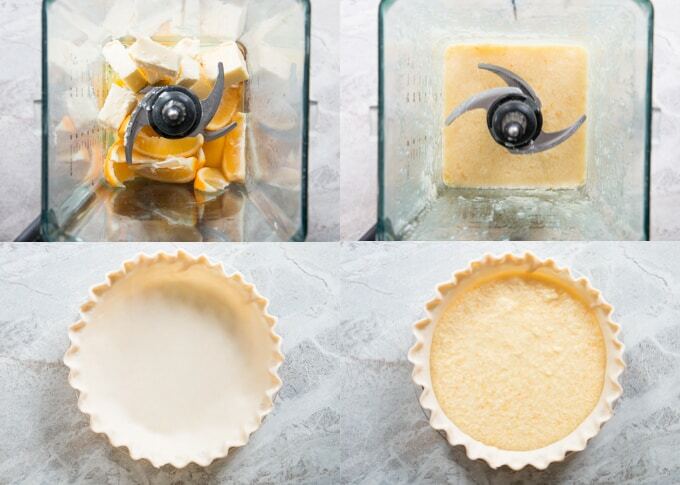 As for the pie crust, you can use your favorite recipe or refrigerated store-bought kind like I did for convenience. 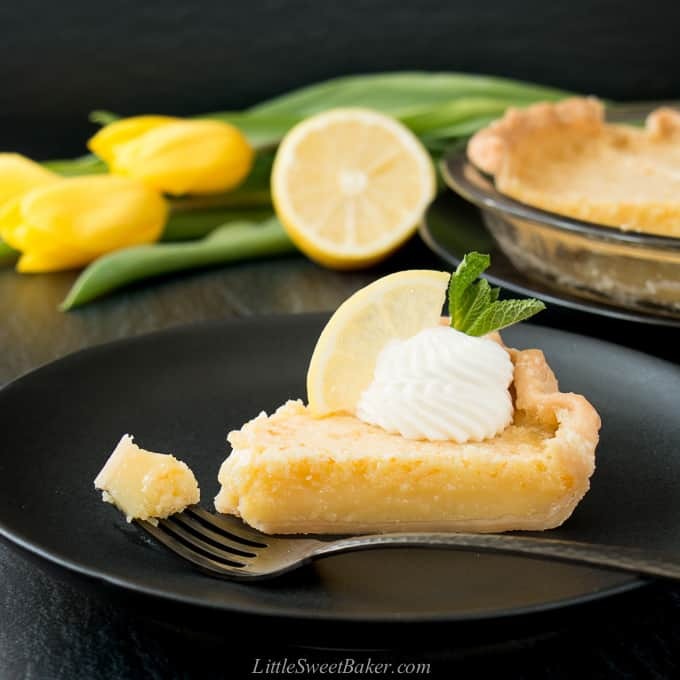 Do you serve lemon pie, warm, room temperature or cold? I like to serve it at room temperature or cold. I find it tastier and more refreshing that way. Can you make lemon pie ahead of time? Yes, you can make it a few hours to 2 days in advance. This whole lemon pie will absolutely brighten up your day. The taste of the filling is rich and lemony. The texture is smooth and thick like a custard. It has great lemon flavor without being too tart. Recipe from Tabs & Tidbits.